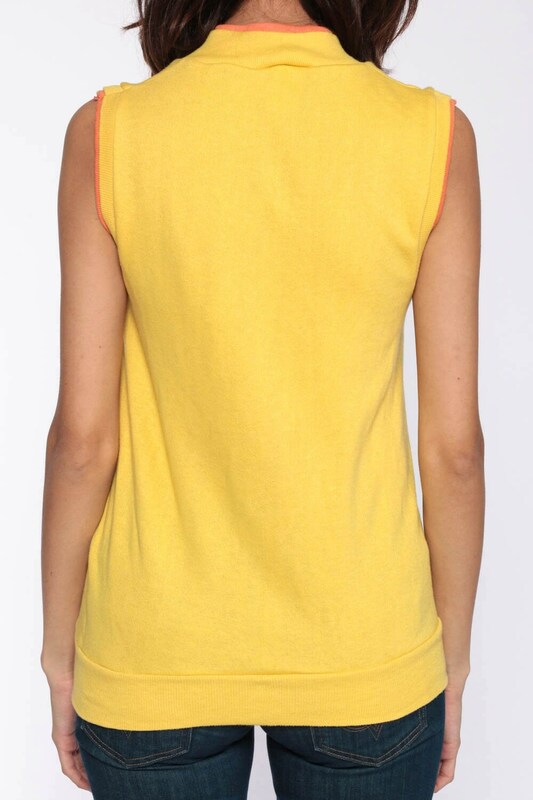 Vintage 80s sleeveless sweatshirt in yellow with orange trim. Zips up the front. Condition: Very good vintage. Has a couple faint spots that should come out with cleaning. 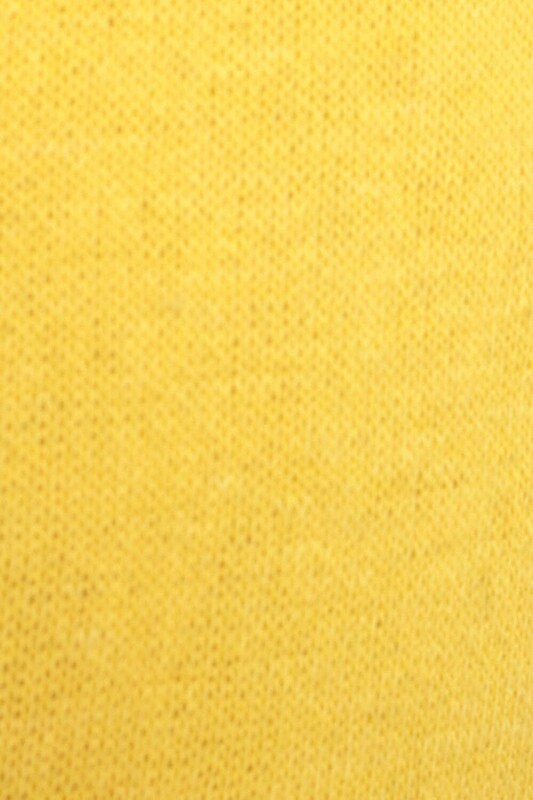 Front pockets are not sewn symmetrically. Material: Feels like a Cotton / Acrylic blend.